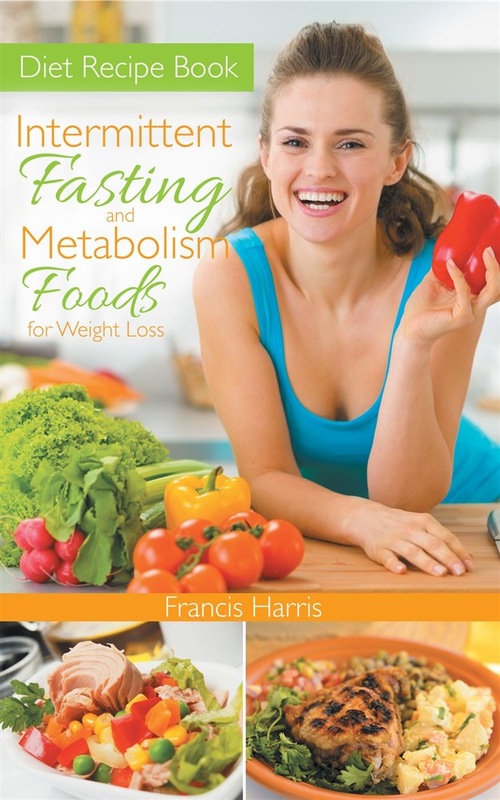 The Diet Recipe Book: Intermittent Fasting and Metabolism Food for Weight Loss book features two diet plans the Intermittent fasting diet and the metabolism diet. The diet recipes are perfect with metabolism foods and intermittent fasting weight loss. The diet foods in these two diet meal plans help with weight loss, which are part of the metabolism diet and intermittent fasting benefits. You can start with the intermittent fasting meal plan and move on to the metabolism diet for maintenance. The Diet Recipe book contains these sections: Metabolism Diet, Metabolism Diet Allowable Foods, Metabolism Diet Avoided Foods List, How the Metabolism Diet Helps with Weight Loss, Other Foods Found to Boost Metabolism, The Best Beverage for Boosting Metabolism, The Best Beverage for Boosting Metabolism, Advice to Help Facilitate Weight Loss While on the Metabolism Diet, Sample 5 Day Menu Plan, Metabolism Diet Recipes, Breakfast Recipes, Bread Recipes, Snacks, Desserts and Appetizer Recipes, Side Dish Recipes, Main Dish Recipes, Intermittent Fast Diet, Intermittent Fast Diet Recipes, Intermittent Fasting Diet Breakfast Recipes, Intermittent Fasting Diet Dinner Recipes, and Intermittent Fast Diet Light Snack Recipes. A sampling of the recipes include: Greens with Baked Beans, Quinoa with Herbs, Vegetable Pot Pie, Whole Grain Hot Cereal with Cherries, Garlic Parmesan Chicken, Slow Cooked Italian Beef, Marinated Grilled Turkey Breast, Collard Greens with Turkey, Broccoli and Cheese Casserole, Sugar Free Cherry Cookies, Quick Soy Skillet Bread, Mushroom Frittata with Asparagus, Home Style Rotisserie Chicken, and Spicy Marinated Grilled Shrimp. Acquista Diet Recipe Book in Epub: dopo aver letto l’ebook Diet Recipe Book di Francis Harris, Townsend Rosie ti invitiamo a lasciarci una Recensione qui sotto: sarà utile agli utenti che non abbiano ancora letto questo libro e che vogliano avere delle opinioni altrui. L’opinione su di un libro è molto soggettiva e per questo leggere eventuali recensioni negative non ci dovrà frenare dall’acquisto, anzi dovrà spingerci ad acquistare il libro in fretta per poter dire la nostra ed eventualmente smentire quanto commentato da altri, contribuendo ad arricchire più possibile i commenti e dare sempre più spunti di confronto al pubblico online.